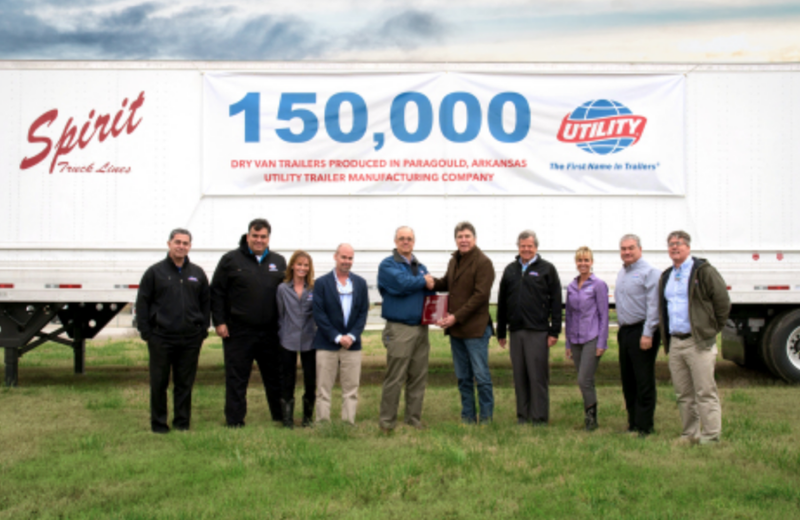 Utility Trailer Manufacturing Company, a leading manufacturer of refrigerated trailers and a leading manufacturer of dry freight vans, flatbeds, and Tautliner® curtainsided trailers, has announced that its Paragould, Arkansas dry van manufacturing plant has recently manufactured its 150,000th dry van, a 4000D-X Composite® TBR. The 150,000th dry van is a 4000D-X Composite TBR (tall bottom rail trailer), which was acquired by Spirit Truck Lines out of San Juan, Texas. More at: www.utilitytrailer.com for more information.